REVIEW – Brigham’s Playhouse presents the classic tale of a boy who never grew up – and a girl who did. Every child dreams of magic, and what better way to bring those dreams from imagination into reality than with a visit to Washington City’s very own theater? 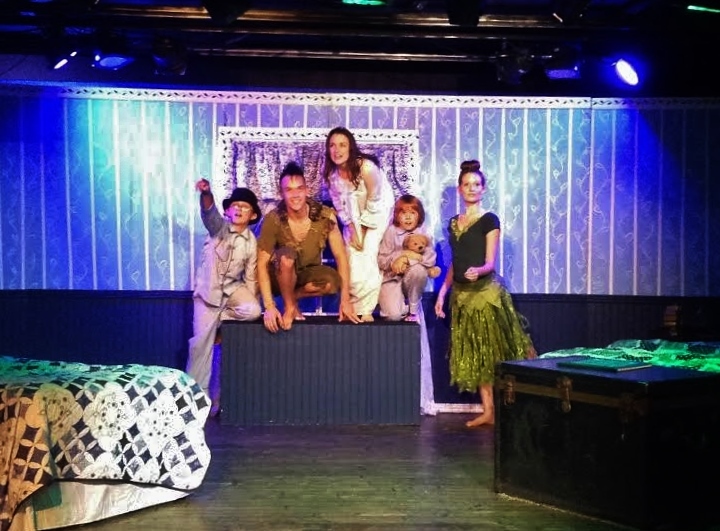 “Peter Pan: A New Musical” continues through Saturday at Brigham’s Playhouse, featuring the musical talents of Jeremy Egan and Colter Christensen. Director Beau Brewster has brought to life the classic tale of Peter Pan and given young and old alike the chance to fly off to Neverland. “Peter Pan: A New Musical” is told through the eyes of Wendy Darling, eldest child of the Darling family. The struggle of transitioning from childhood to adulthood is clearly portrayed with the sincerity and wonder that can only come through the eyes of a child. The staging cleverly moved in and around the audience, and I found myself drawn into the story. Like most, I couldn’t help but smile at the antics of story author J.M. Barrie’s Lost Boys and Christensen’s spot-on portrayal of Hook. The true highlights of this production came in the laughter of young and old in the audience – and likewise their sorrow at the loss of our favorite fairy, Tinkerbell. This show harnesses the very essence of Peter Pan, reviving long-since-forgotten happy thoughts of childhood for adult viewers; and, for young viewers, putting them up close to Peter Pan and all the magic and fairy dust of his world. As they battle pirates, are chased by Indians and soar through the clouds, the marvelous actors at Brigham’s Playhouse bring wonder and hope to their audience. Entering into this wonderful telling of Peter Pan’s story recalls precious memories of youth – and what better way than to experience it in the realm of theater? With the set, costumes and props all resembling things a child might well imagine, these lively characters capture so well the spark of childhood. Brewster’s casting and staging are perfectly matched with the child-like costumes and sets. The actors were fun to watch, drawing viewers into their world of wonder. I thoroughly enjoyed my experience at Brigham’s Playhouse and look forward to returning for future plays. 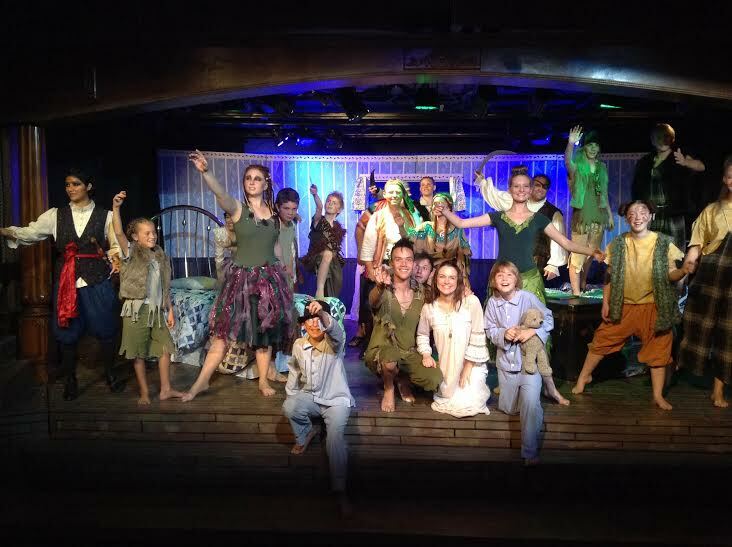 “Peter Pan: A New Musical” runs until Saturday, Sept. 20, with showings Tuesday through Saturday at 7:30 p.m. and a matinee on Saturday at 2:30 p.m. Tickets range from $12 to $23 and are available for purchase at the Brigham’s Playhouse box office, 25 N. 300 West, building C1, in Washington City, or by calling 435-251-8000. For more information about this and other productions, or for audition information, visit the Brigham’s Playhouse website. I really encourage everyone this is quite a treat. Actors are right there and front row seats are inches from the action…..really! Who do you think you are offending? Every intelligent person, Mormon or not, thinks you are a fool.